In plain words, Bonsai trees are ornamental dwarf or miniature trees that are grown in pots. The Japanese have gifted the world these beautiful trees that often find themselves decorating or accenting the interiors as well as exteriors of many homes. A Bonsai tree seems to look more charming with each passing day and is a brilliant gift to be given to anyone. Today, we are showcasing 25 most popular Bonsai trees that can become the showstoppers of your home decor. 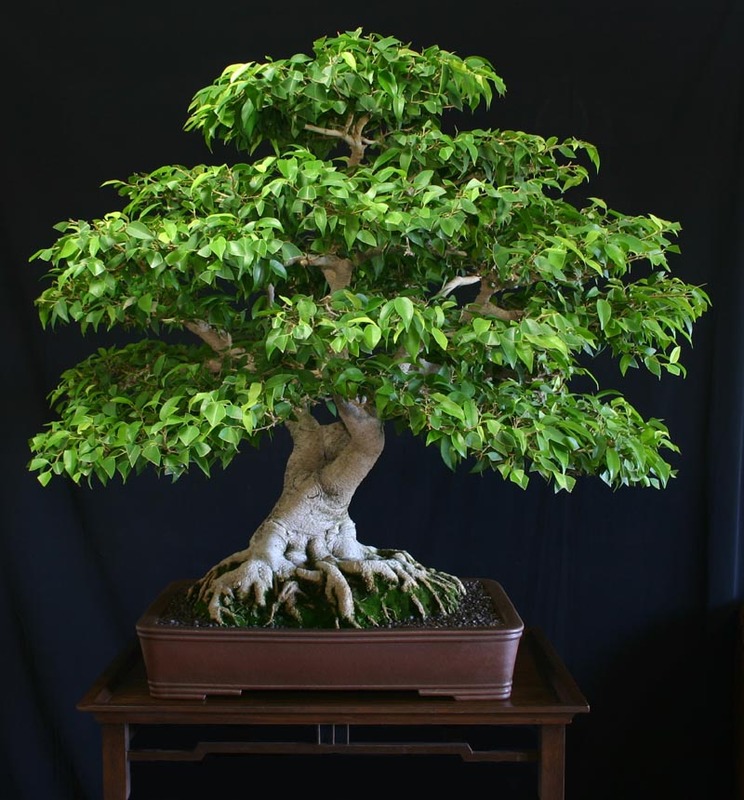 The Ficus Bonsai Tree is one among the 25 best indoor Bonsai tree varieties that are showcased today. 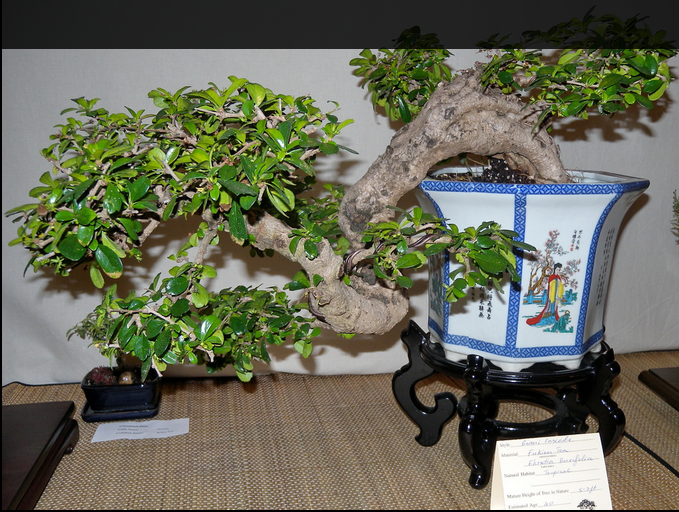 Belonging to the family of Moraceae, it is one of the most popular indoor species of Bonsai trees. Most homes will feature this tree as it is quite ornamental. This tree can be kept outdoors only when the temperatures are above 59 F. Also, you need to show it sunlight in ample amounts. Even when potted inside, it needs to be placed at a location that gets good sunlight. The best way to take care of it would be to avoid keeping it under shade, and watering it whenever the soil becomes dry. Regular misting is recommended for its survival. Pruning and fertilization are also important for its proper growth. 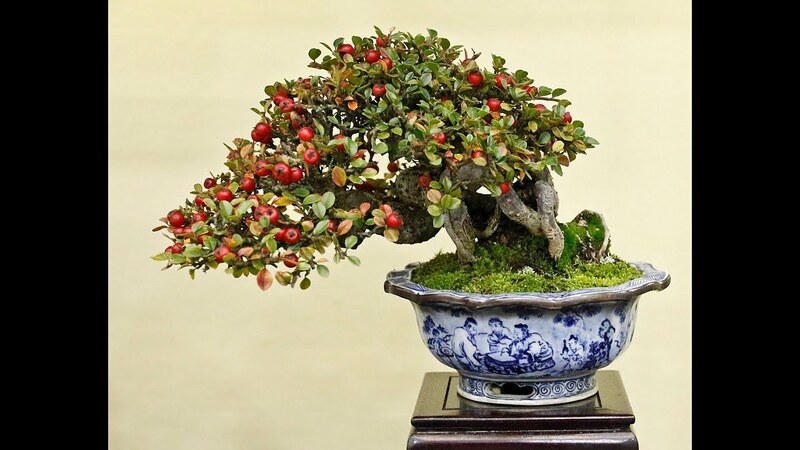 The Dwarf Pomegranate is a native of Asia and Mediterranean, and is a popular bonsai tree. The tree, with its oval shaped flowers and red pomegranate fruits looks extremely beautiful. The usual pomegranate Bonsai tree care would include placing the tree outdoors and making sure that it gets ample sunlight, but not over exposed to it. Always keep the soil moist and fertilize the tree with such a variety that has good amount of phosphorus and potassium. For the tree to produce flowers, you would have to prune only after the flowers bloom. One of the most popular Bonsai trees to deck up your outdoor gardens and patios is the Celtic tree, which boasts of a twig structure and produces green leaves. The tree is also known as Hackberry and produces flowers in spring. It also bears orange fruits in early months of summer. The tree is very sensitive to direct sunlight, which makes it essential that you never expose it to the sun’s direct light. Too much sunlight will make the tree dry and wither. Therefore, water it often and fertilize it once every three weeks. It needs regular pruning and it can be re-potted once every two years, only in spring season. The Sageretia Theezans is a Chinese bonsai plant, also popularly known as Bird Plum tree. 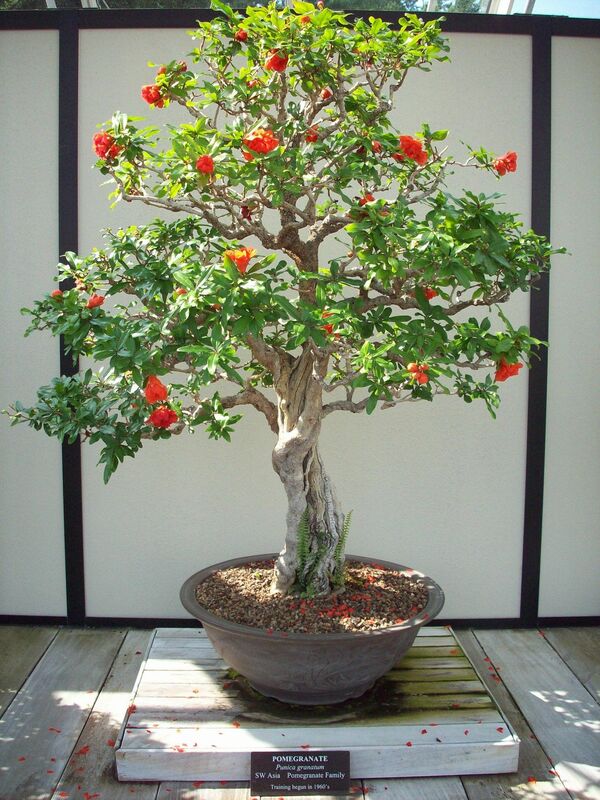 Its a tropical bonsai tree and is widely used for bonsai uses. Its small white flowers lend it a very attractive look. Its a tree that thrives well both outdoors as well indoors, but, make sure to keep it under some kind of shade if you place it outside in the noontime. Always keep it moist and ensure it never dries out. This bonsai tree is sensitive and can fall prey to drought. Fertilization has to be done every spring and summer time. Once you get the required shape of the tree, you can prune it weekly. It can be propagated using both seed and cuttings. Endowed with hand shaped leaves, the Japanese Maple bonsai tree traces its origin to China and Japan, and is quite resistant to frost. 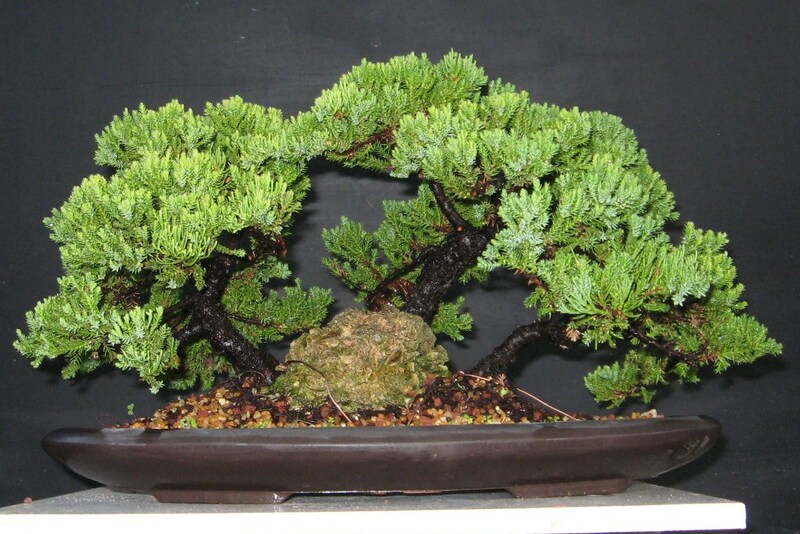 It is counted as one of the best trees for bonsai. This tree loves sun and lot of air to grow. Therefore, it must be planted at a sunny spot. However, over exposure to sun might cause harm. Water this tree to keep it moist, and feed the mature Maple bonsai tree with a rich organic fertilizer, but ensure that you do not use such varieties that have high concentration of nitrogen. This bonsai needs regular pruning of its twigs and shoots. For pests, use insecticide sprays occasionally. Also known as Rock Cotoneaster, this bonsai tree can beautify your interior as well as your exterior like balcony or garden. Its often styled in slanting fashion, or cascading style. It is a fairly easy growing bonsai tree even a beginner can grow at home. It, however, needs full exposure to sun if you want it to produce beautiful flowers. Otherwise, this tree can tolerate sun as well as shade. 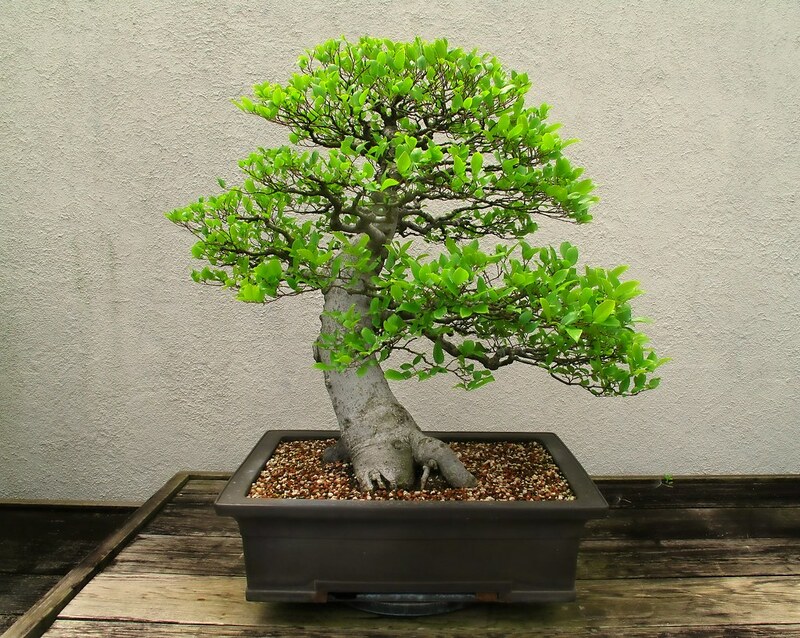 Bonsai tree care for the Chinese Elm bonsai is pretty simple as it needs nothing additional or extra except for styling and pruning that can be done on a regular basis. 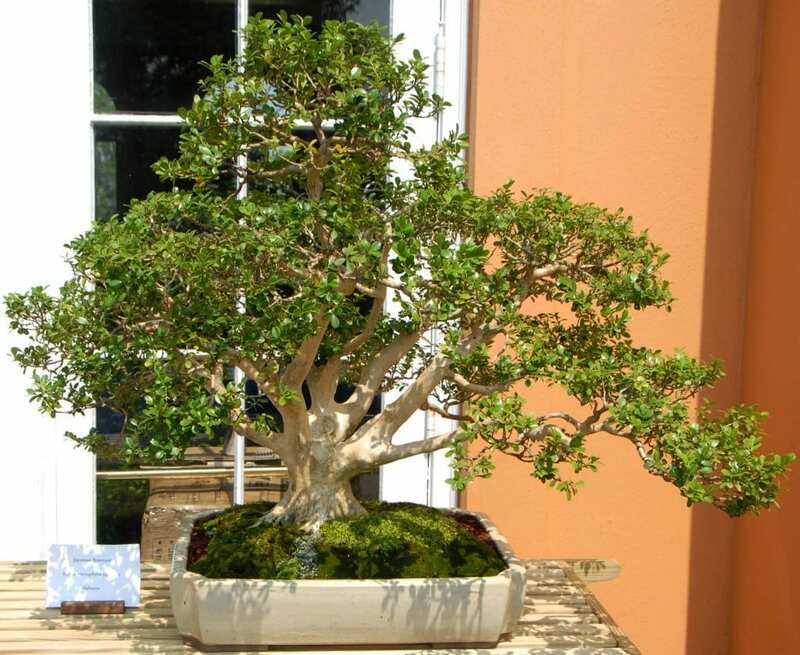 It is one among the most ornamental bonsai trees in this world and needs daily exposure to sunlight. It can withstand varying temperatures. However, make sure to protect it from cold. 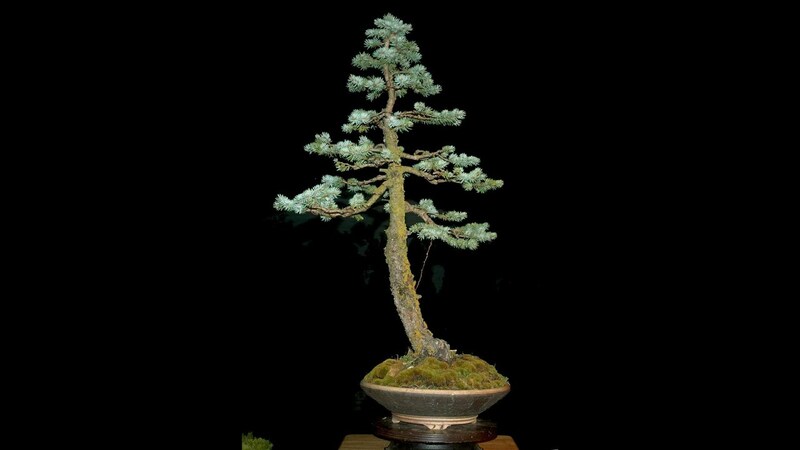 If you are an amateur in the art of sculpting bonsai trees, then you better refrain from growing this rugged, yet, wonderful looking Pine bonsai as it needs little bit of extra care and maintenance. The tree looks elegant with rough trunk. It is one of the classic bonsai species grown by bonsai lovers, and it needs exposure to sunlight and fresh air. Always keep the pine in such a spot where it can breathe well. Junipers are one of the most popular bonsai trees, both with amateurs as well as those that are pros in bonsai cultivation. Among this specie, the Juniper Procumbens Nana is the most grown bonsai and belongs to the family of evergreen coniferous shrubs. Most beginners opt to grow this variety as its relatively easier to train and care that involves proper positioning. This beautiful looking bonsai is an outdoor loving tree and must not be kept indoors. It needs good sunlight, but keeping it under shade is advisable in the afternoon. 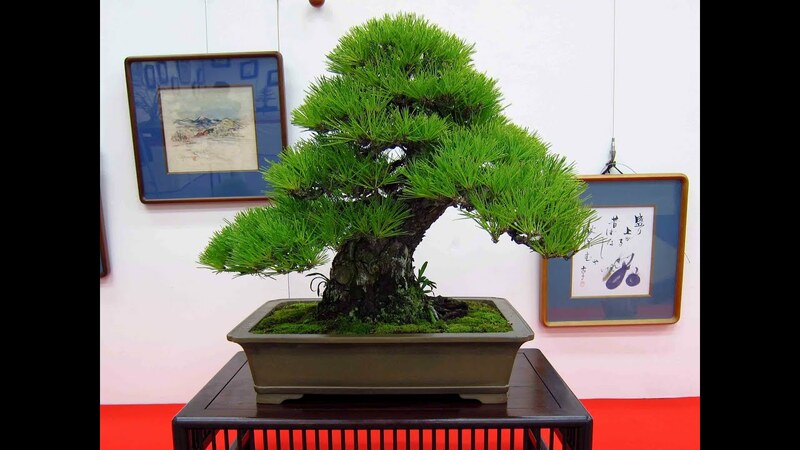 Though the Spruce or Picea is not one among the best trees for bonsai styling, yet, it does remain one of the most available and affordable species for many bonsai lovers. The tree is difficult to style into a bonsai, but, once grown, it is easier to care for and maintain. As far as positioning is concerned, the Spruce must be placed at an outdoor spot that gets ample sunlight through the day. It is not an indoor bonsai specie and one must never expose it to freezing temperatures. It also needs daily watering specially in the moths of summer and spring. Pruning can start once the shoots start to mature and this is the perfect time to pinch them. Fertilization is important, though, you need to do it in a balanced way. You can re-pot the bonsai every two years. For those that love to style trees into bonsai, the Crape Myrtle is the best choice as this tree is endowed with the best of features including stunning branches, decorative flowers in pink, and a bark with an outer layer in purple tones. If you want it to produce wonderful pink flowers, then you must keep the tree exposed to sunlight. The tree can be kept indoors provided you keep it at a spot with enough light and air. You can style this tree in an upright manner, or in a slanting way as you wish, though there are other ways to style it as well. The Boxwood bonsai tree is a very accommodating specie that is easy to care for, and also to maintain. 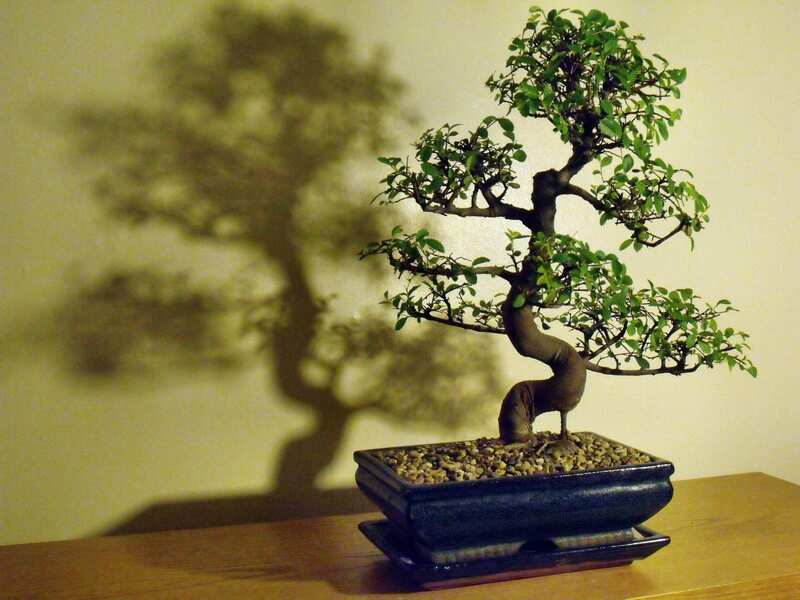 It is the most popular bonsai choice for beginners that are just starting out. The characteristics of this tree make it a desirable choice for bonsai styling, which includes its ruggedness and its resilience to any kind of weather. You can keep this tree both under direct sunlight as well as under any type of shading. However, for it to grow handsomely, place it under some form of shade. Keep the Boxwood protected from freezing temperatures as it cannot tolerate cold. If you are planning to add a new ornamental bonsai specie to your ever growing collection of bonsai trees, then Fukien Tea bonsai tree is the best choice as it is a great looking tree featuring dark greenish colored glossy leaves with tiny dot patterns on them. The tree also produces flowers in white color and these flowers grow all year round. Tiny berries too appear on this tree when it is in full bloom. You can keep this tree both indoors as well as outdoors. It requires a spot that gets ample sunlight and can tolerate temperatures ranging between 50 to 75 degrees Fahrenheit. The Azalea bonsai tree belongs to the family of Rhododendron and is most suited for styling into a bonsai because of its spectacular appearance that features exotic flowers and differently shaped leaves bearing unique patterns. The most famous varieties of Azalea are Kurume and Satsuki Azaleas that are evergreen small shrubs, and are highly popular bonsai choices. The Azalea loves sun and therefore, you must place it at a spot that gets good sunlight, though, in summer months you must offer it some form of shade. Also, you need to water it often to keep it moist, though, too much of it would harm the tree. When fertilizing, use only a variety that is specially made for caring rhododendron. If you are thinking about growing a bonsai tree that looks gorgeous and grows pretty fast, then choose the Bougainvillea as it is one of the most beautiful bonsai plants to enhance your home decor. It looks exotic with charming flowers of different shades and can tolerate any kind of weather. It grows faster than other plants and can be styled to any shape as desired. All you have to do is place it at a location that gets good sunlight, at least 6 hours of it daily. Known as Ficus benghalensis, the Indian Banyan Tree or the ‘Bargad’ is one of the most commonly grown bonsai trees and looks quite spectacular with spread out aerial roots and thick woody trunk. Keep the plant at a location that gets ample sunlight throughout the day. However, place it under shade in afternoons. Watering is a must in order to keep it moist. The Dwarf Jade bonsai looks handsome with a thick or chunky looking trunk and fleshy foliage. It produces small white flowers in Autumn and has a greenish bark that turns reddish brown when the tree matures. 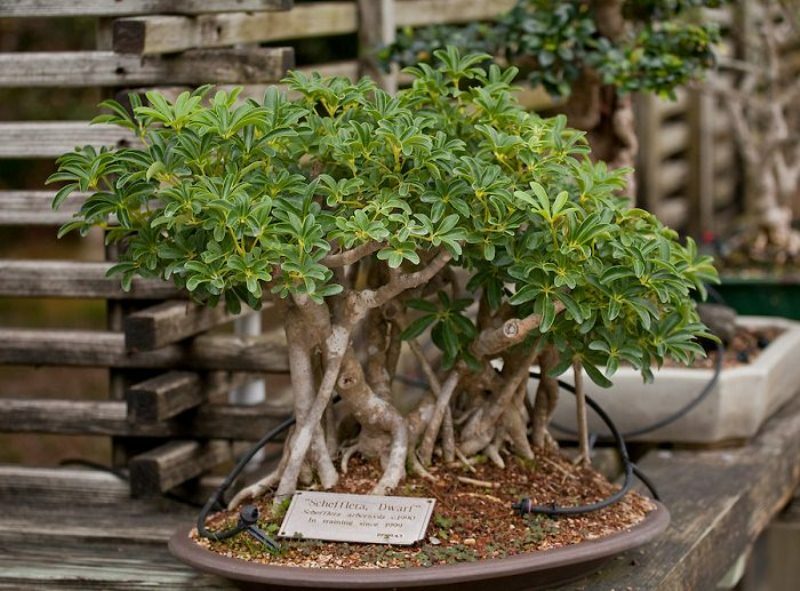 The Jade tree is regarded as the best indoor bonsai tree as it is relatively easier to care for and maintain. You need to keep the tree in spots that get good amount of sunlight and air. It is suitable to be grown both indoors as well as outdoors. The Jade tree must never be over watered to prevent rotting. It can be fed fertilizer once monthly when the growing season is on. Also, pruning has to be done on a regular basis as its trunk and branches tend to absorb water and become weighty. You can re-pot the Jade bonsai, but use only a well draining soil. The Olive tree is one of the most desirable and popular choices for styling as bonsai as its very easy to maintain, and its care routine is also simple. The tree is sturdy with a smooth textured trunk and attractive branch structure. It looks quite ornamental. You can place it at a spot that receives good light as well as air. However, make sure to place it outside in the sun daily. It can be styled upright, cascading or in a slanting fashion. For those planning to grow indoor bonsai species, the Dwarf Schefflera is one of the best or most suitable choice for use as a bonsai. The tree has certain qualities that make it popular among plant growers which include its tolerance to withstand drought like conditions, and its hardiness that makes it difficult to kill. Even beginners can grow this tree as a bonsai. Make sure to keep it at a spot that gets loads of sunlight and air. However, keep it under indirect sunlight. 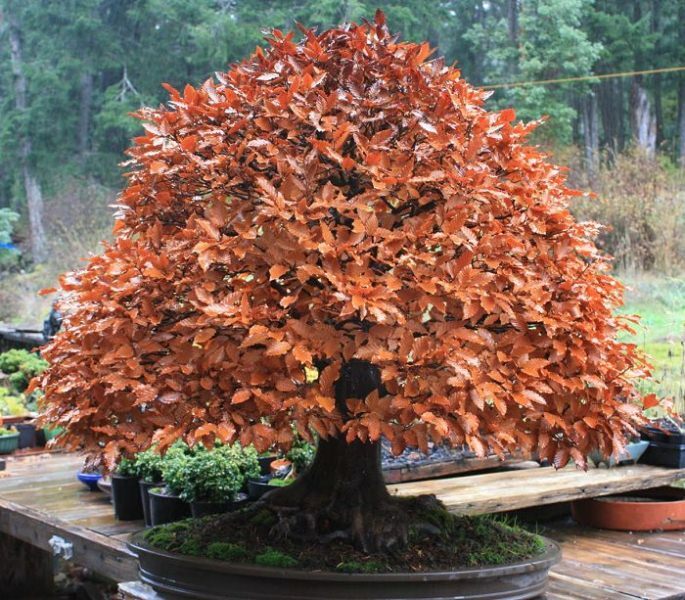 Styled either in cascading, upright, group or in slanting fashion, the Fagus sylvatica, or Common Beech tree is a beautiful choice for use as a bonsai. It looks tall with ornamental golden yellow leaves that form in autumn. The tree bears young shoots that are easily formed. However, this tree takes a lot of time to mature and age. You can keep it under direct as well as indirect sunlight for its optimum growth. However, be sure to protect it from getting over exposed to scorching afternoon sun. A large sized bonsai, the Wisteria tree is a stunning looking ornamental plant featuring exotic purple and blue flowers that seem to cascade down. It takes almost 12 years for the tree to age and grow to its optimum height. The growing season is spring and the most popular varieties are the Chinese Wisteria and the Japanese Wisteria. This tree needs direct sunlight to thrive well and mustn’t be placed at a spot that is dimly lit. It needs to be watered daily when producing flowers and also requires protection during the colder months. It is in spring that you must feed this tree with fertilizer. When it starts to produce flowers, reduce applying any kind of fertilizer sprays. Pruning is needed regularly, but excessive pruning might reduce its capacity to bear flowers. 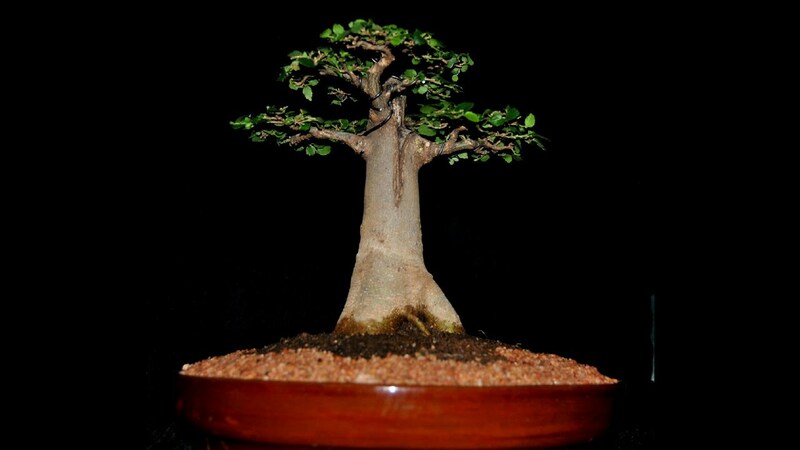 The Baobab is a native of Africa and is a great choice for use as a bonsai. It is the world’s largest succulent and needs very simple care that includes positioning it at a place that receives good sunlight. Even in warmer regions, this tree can survive loads of heat. In winters, however, keep the bonsai inside. This tree grows slow and prefers loads of sunlight. It has a thick trunk that grows at a slower pace than other bonsai tree trunks. It can withstand temperatures above 14 F. Though, it needs to be watered regularly, yet, it doesn’t grow very well if the soil remains wet and humid. Therefore, watering needs to be done carefully. You can feed this tree with any fertilizer once or twice in a month. Pruning must form a daily routine if you are planning to grow a healthy Magnolia. However, start to prune only after its flowers have dropped. Featuring a braided trunk, the Money Tree is a native of Central America and is a tropical plant. It is a popular plant that finds mention in Feng Shui and is believed to bring good luck and fortune to homes that have this plant. The Money Tree bonsai needs a brightly lit spot to grow nicely. A windowsill is perhaps the best place to keep it if growing indoors. You can place it outside under sunlight when the weather becomes hotter. Fertilization monthly is recommended, and so is pruning that has to be done in late winter. An evergreen, the Benjamin Ficus is spectacular to look and will attract you with its cascading branches that form a canopy. The branches seem to cascade down and that is why the tree is also known as weeping fig. It needs loads of sunlight, and can grow nicely both indoors as well as outdoors. If you want a great add-on to your already spectacular indoor or outdoor, then choose to deck up the decor with a beautifully sculpted bonsai tree. But, before you plan on buying one, bear in mind its requirements of sunlight, water, fertilizer, pruning and re-potting. 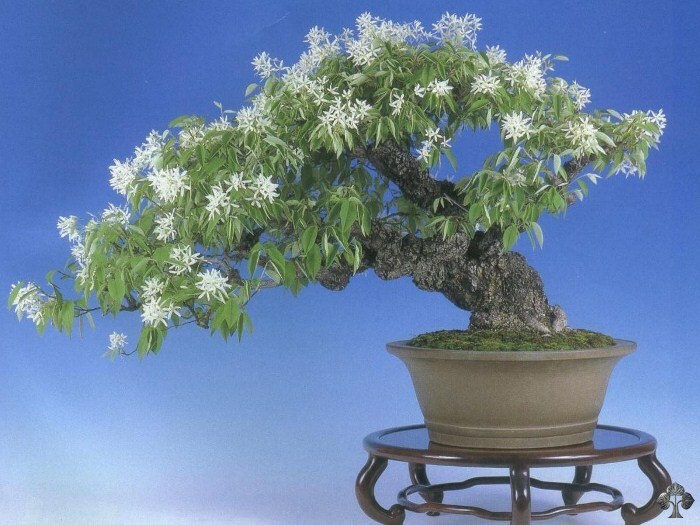 We do hope that our article on 25 most popular bonsai trees has been helpful. All these trees are unique and are exemplary in their own way.